This brief research I made for my online course may help some of you understand better what are pesticides and their effects (quite negative to say the least) on our lives and on the planet we live on. Maybe it will encourage you to pay the slightly higher amount for organic produce. 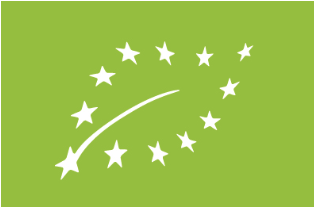 Pesticides are chemicals used to eliminate or control a variety of agricultural pests that can damage crops and livestock and reduce farm productivity. There are several types of pesticides, the most common ones are: Insecticides (to kill insects), Herbicides (to kill weeds), Rodenticides (to kill rodents), and Fungicides (to control fungi, mold and mildew). Pesticides are not a modern invention. Elemental sulfur was used by ancient Sumerians to protect their crops from insects. Medieval farmers and scientists experimented with chemicals ranging from arsenic to lead on common crops. 19th century research focused on more natural techniques involving compounds made with the roots of tropical vegetables. In 1939, Dichloro-Diphenyl-Trichloroethane (DDT) was discovered to be extremely effective and rapidly became the most widely used insecticide in the world. 20 years later, serious concerns about the human safety and biological effects of DDT led 86 countries to ban its use. The consolidation of farms and subsequent rise in industrial growing practices (such as monocropping) that began in the 1950’s kicked off an era of heavy pesticide use. Pesticides are tested and approved for use by the EPA, which establishes “tolerances,” or maximum residue levels, that describe the amount of a given pesticide that can safely remain in or on a food. The US Food and Drug Administration (FDA) is then responsible for monitoring pesticide levels on fruits and vegetables, while the US Department of Agriculture (USDA) is charged with the task of surveying pesticide residues in meat, eggs, and dairy products. There is some criticism of the EPA’s methods for setting “tolerances” for pesticide exposure in humans. Short-term testing is conducted on laboratory animals exposed to only a single chemical at a time, usually in high doses. However, in real life, humans are often exposed to a number of different chemicals over long periods of time – this type of exposure can cause problems that might not be observed in a short-term study of the effects of a single chemical. The FDA has also been criticized for inadequate monitoring of pesticide levels on fruits and vegetables. Ineffective sampling of food for pesticide residue testing, problems with data analysis, and lack of authority to fine or otherwise punish growers (or importers) who use illegal pesticides are common criticisms. Pesticides have been linked to a number of health problems, including neurologic and endocrine (hormone) system disorders, birth defects, cancer, and other diseases. Although it is widely understood that exposure to pesticides is dangerous to humans, Centers for Disease Control and Prevention (CDC) data show that a high percentage of individuals tested had certain pesticides or the chemical breakdown of those pesticides in their blood or urine. CDC research also shows that people in the US carry levels of pesticides in their bodies that, for certain pesticides, exceed the EPA’s “acceptable” levels. Children are especially susceptible to the harmful effects of pesticide residues due to their lower body mass, rapid development, and higher rates of consumption of affected products. In children, exposure to certain pesticides from residues in food can cause delayed development; disruptions to the reproductive, endocrine, and immune systems; certain types of cancer; and damage to other organs. Prenatal exposure to certain pesticides can affect cognitive development and behavior. Several studies have found that pesticide levels in children dropped to low or undetectable levels when test subjects consumed an organic diet. Farmworkers are also highly vulnerable to these health threats due to intensive exposure to a variety of pesticides, either from applying these chemicals or from harvesting pesticide-sprayed agricultural products. Approximately 80% of corn and 22% of wheat produced in the us every year is used for animal feed, while 30 million tons of Us produced soy meal is consumed annually as livestock feed. This grain is grown by intensive industrial farming operations that use large amounts of pesticides and often rely on genetically engineered crop varieties. In addition to causing environmental damage, when grain is grown with pesticides and then fed to livestock, pesticide residues can accumulate in the animals’ fatty tissues and milk. Many sustainable farms use IPM (integrated pest management): it’s a growing movement among farms of all sizes that use a variety of techniques to eliminate pests while minimizing environmental damage. For example, an ipm farm may grow pest-resistance crop varieties, use predatory insects to kill plant-eating pests, employ mechanical pest traps and eliminate pest-nesting areas by plowing under harvested crops. Other techniques include CROP ROTATION, which involves planting crops in different places each season in order to replenish nutrients removed from the soil by a particular plant. These practices help to break pest cycles, allow the soil to naturally replenish itself, help reduce weeds, and encourage plant diversity in order to avoid insect and pest infestation. When you consume non-organic food, it is best to peel the fruit and vegetables, because just washing it may not take all of the pesticides off. Of course, the best way to go is to buy and eat organic produce and food. 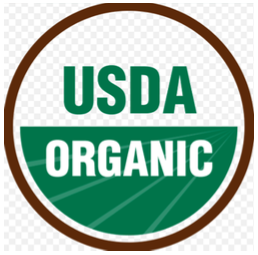 In the US the most common logo is the “USDA organic” one, which means the food must contain at least 95% approved ingredients. 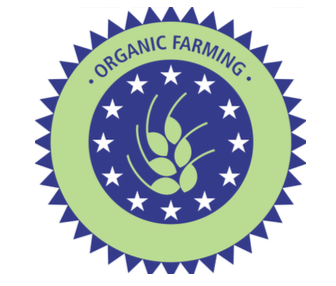 The best bet for selecting certified organic foods is to choose foods that state “100 % organic” on the front of the package.